Why Choose UCalgary: What the Campus and the City Can Offer - SchoolFinder.com! The University of Calgary offers tons of different program options–but also a unique campus experience in a beautiful city that is exciting to explore! Choosing a post-secondary education path is always difficult. You have to decide on a location, program and eventually a career. Choosing a school is about more than academics; you also need to consider the life you could create on and off campus. The University of Calgary offers tons of different program options–but also a unique campus experience in a beautiful city that is exciting to explore! There are many activities and ways to get involved on campus through volunteering, student clubs, or even cheering on our Dino’s sports teams! With everything from a ski club to a chemistry club, there is truly a club for anyone and everyone. For a detailed list of all the clubs you could join, click here! We love to cheer on the varsity players representing our school, and we have 19 varsity teams and 9 club teams! All students get to attend any regular season game for free. If you are someone who wants to get in on the action, you can find information on joining varsity teams here. In addition to the many activities on campus, there is so much more to discover in the city itself. Calgary is home to North America’s most extensive urban pathway and bikeway system, which means there are tons of interesting and safe ways to navigate the city! If you ever need to get out of the city, you can drive one-hour west and arrive at Banff National Park. Banff is one of the most beautiful spots in all of Canada! It is almost always a good time to be exploring, since Calgary is the sunniest city in Canada with 333 annual days of sunshine! The amount of sun Calgary gets is a mood booster and definitely helps get you out of bed. 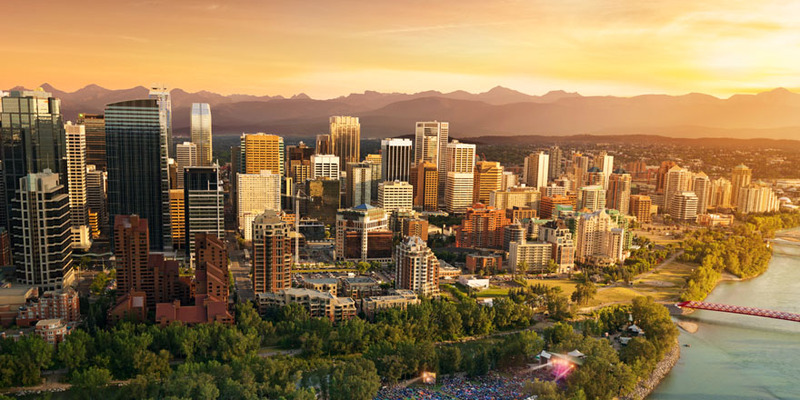 Calgary is ranked the 4th most livable city in the world and is home to over 1 million people. Choosing the University of Calgary as your post-secondary institution could not only help you receive your degree in one of our prestigious programs but could also provide a forever home to you post-graduation!